A popular theme among writers of fantasy is the special nature of the seventh son. In works of this genre, this child is often blessed with a natural gift of magic, or a destiny for greatness. While the magic of such novels will always be just fantasy, the special nature of “the seventh” is an idea straight out of Jewish tradition. It is written in the Midrash: “All sevenths are favorites in the world ...” (Leviticus Rabbah 29:11). The Midrash goes on to identify several well-known sevenths, such as Moses (seventh-generation descendant of Abraham) and David (seventh son of Jesse). The most fascinating of these examples, however, might be the lesser-known Enoch. About him it is written: “The seventh is a favorite among the generations. Thus: Adam (1), Seth (2), Enosh (3), Kenan (4), Mahalel (5), Jared (6), [and] Enoch (7)” (ibid). Enoch’s appearance in the Bible is quite brief: “And Enoch walked with God after he begat Methuselah three hundred years...And all the days of Enoch were three hundred sixty and five years: And Enoch walked with God: and he was not; for God took him” (5:22-24). “Rabbi Hama ben Rabbi Hoshaya said that he was not inscribed in the roll of the righteous but in the roll of the wicked. Rabbi Aibu said: Enoch was a hypocrite, acting sometimes as a righteous individual, sometimes as a wicked man. Therefore the Holy One, blessed be He, said: While he is righteous, I will remove him” (Genesis Rabbah 25:1). The Midrash explains why Enoch’s days were cut short, but what does it mean that “God took him”? The only other time this term is used in scripture is when describing Elijah the Prophet’s last moments on earth. It is thus understood that Enoch and Elijah were both taken, body and soul, into heaven. If you made personal resolutions during the High Holiday season, verbally reinforce your commitment to them. *This Treat was last posted on Monday, October 5, 2012. This Treat was last posted on April 7, 2010. If you can't join in a Simchat Torah celebration, do something special to mark the beginning of the new Torah reading cycle. On Hoshana Rabba, extra hakafot (circles around thebimah) are added to the service, as well as the beating of the willows (see above). In some communities, it is customary to stay up all night studying Torah. Additionally, many people eat a light, festive meal in the afternoon. Hoshana Rabbah 5774 begins tonight. This Treat was last posted on October 5, 2012. If you haven't already done so, make certain to go to a body of water and recite Tashlich. This Treat was last posted on October 3, 2012. Celebrate the wonderful fruits of the fall season and make certain to recite the blessing "bo'ray p'ree ha'etz." Sukkot is considered the holiday on which God determines the world’s water allotment for the year to come. During the time of the Temple, the week of Sukkot was highlighted by the Water Libation ceremony, during which the priests ceremoniously drew water from the spring of Shiloach and poured it into the designated bowl attached to the altar. The ceremony actually lasted all night and was known as the Simchat Beit Hasho'evah, the Celebration of the House of the Water Drawing. This Treat was last posted on October 4, 2012. On Sukkot, the requirements to dwell in the sukkah and the mitzvah of the four species continue throughout Chol Hamoed. On Chol Hamoedof Passover, one maintains the prohibition against eating chametz (leaven), but it is not a requirement to eat matzah. This Treat was previously published on April 9, 2012. If you have a sukkah, invite friends and family over to make your own Simchat Beit Hasho'evah. The Treat was last posted on October 3, 2012. When you need help, don't hesitate to call out to God. A basic sukkah is really quite simple: three walls and a bunch of branches overhead. (For a more detailed review of the laws, click here.) However, any of the Sukkah City architects who looked to the Talmud for design inspiration must have been quite surprised by the creative sukkot described therein. For instance, while a sukkah’s roof must be made of detached tree branches, can the sukkah itself be built in a tree? The discussion, which begins on page 22b of Talmud Tractate Sukkah, presents different rulings, depending on the nature of the walls. Similarly, it was argued by the sages that Psalms 113-118 were actually written by Moses. Rabbi Jose said, “My son Elazar is of the opinion that Moses and Israel said it [Hallel] when they came out of the Red Sea, but his colleagues disagree with him. They contend that David composed Hallel. But I prefer my son's opinion to that of his colleagues: Is it possible that the Jewish people slaughtered their Passover sacrifices and took their lulav bundles without singing a hymn to God?”(Pesachim 117a). *During Chol Hamoed Passover and on the last days of Passover (as well as on Rosh Chodesh - the new month) an abridged form of Hallel, known as Half-Hallel. is recited. This Treat was last posted on April 10, 2012. If you have a question about Jewish law, ask a rabbi before assuming that something can or cannot be done. Lulav/Branch of a Palm Tree: A lulav is actually the closed frond of a date palm tree. A nice lulav is green, with no signs of dryness. It should be straight, without any bends or twists near the top. 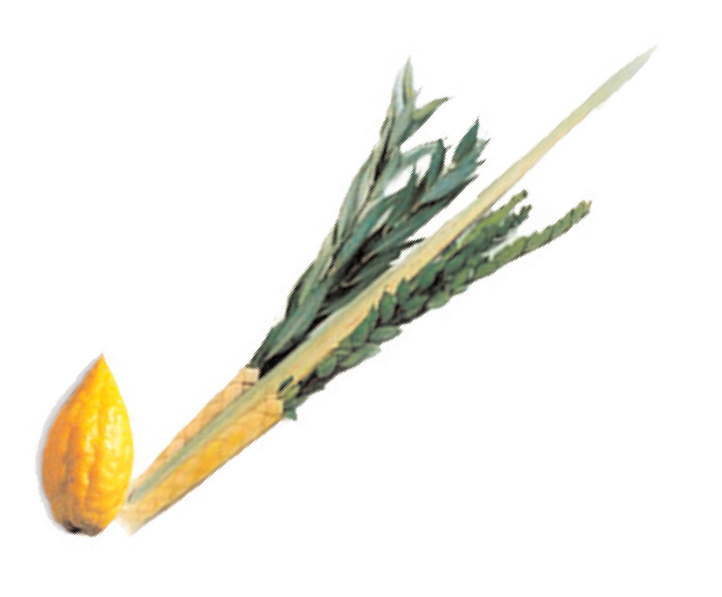 The tip and top leaves of the lulav must be whole, and not split. It is placed in center of the hadassim and the aravot with its spine facing inward. This Treat was originally posted on October 10, 2010. 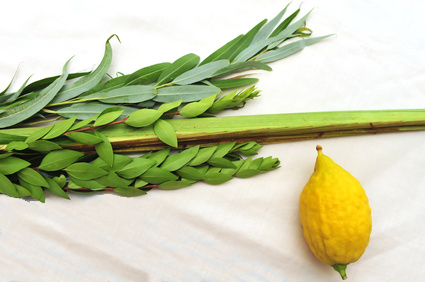 Try to buy your own lulav and etrog. This Treat was last posted on September 27, 2012. For the sukkah to be "kosher," there must be enough s’chach so that there is more shadow than sunlight. It may not, however, be so dense that one is unable to see the larger stars at night or that the rain cannot penetrate. Sukkot is an excellent time to get together with friends and loved ones, so make plans to celebrate together. In the days of the Temple, a Neilah service was added to all public fast days, the fasts of the ma’amadot (the priests at the sacrificial offerings) and on Yom Kippur. Today, Neilah is a service unique to Yom Kippur. 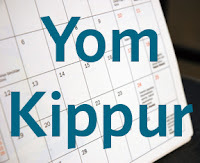 But, even in Talmudic times, the Yom Kippur Neilah had its own special instructions: “On Yom Kippur, as it becomes dark, one reads the seven benedictions (the holiday Amidah) and makes confession and concludes with confession”(Yoma 87b). This Treat was originally posted on September 25, 2012. Use this auspicious time to pour out your heart to God. Once a year, Jews around the world make a unique, and not always attractive, fashion statement by wearing clunky sneakers or fuzzy slippers. (The Talmud records that the sages wore sandals of bamboo, reeds and palm branches on Yom Kippur - Yoma 78a-b.) Indeed, Jews in contemporary times often choose sneakers over even today’s synthetic materials that look like leather in order to uphold the prohibition against wearing leather shoes on Yom Kippur. Leather shoes are avoided on Yom Kippur as a means of fulfilling the commandment to "afflict your soul"--"...on the tenth of the month, you shall afflict your souls and do no work at all...for on that day God will forgive you and cleanse you, that you may be clean from all your sins before God" (Leviticus 16:29-30). What does wearing leather shoes have to do with atonement? The sages recorded numerous Talmudic sources in support of the practice of not wearing leather shoes on Yom Kippur. For instance, in Yoma 77a, "Rabbi Nachman ben Isaac said [it is derived] from: ‘Withhold your foot from being unshod, and your throat from thirst’ (Jeremiah 2:25), i.e., withhold yourself from sin lest your foot become unshod; withhold your tongue from idle speech, lest your throat become dry [faint with thirst]." 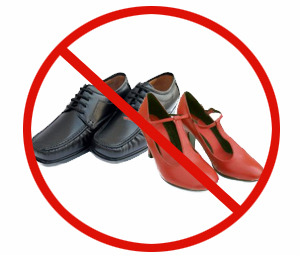 The prohibition of wearing leather on Yom Kippur applies only to leather shoes. According to Raba, "Is [all footwear] forbidden on the Day of Atonement because of the pleasure it affords, even though it cannot be regarded as a shoe? Surely, Rabbah son of Rabbi Huna used to wrap a scarf around his foot and so went out!--But [in fact], said Raba, there is no difficulty: The one Baraitha refers to a leather sock; the other to a felt sock" (Yevamot 102b). Of the five prohibitions of Yom Kippur (eating/drinking, washing, anointing, wearing leather shoes and marital relations), only wearing leather shoes is prohibited for children as well as adults. Eating, drinking, washing and anointing are all permitted to minors because they are considered necessary for the children’s health (Yoma 78b). "One who eats and drinks on the ninth, is considered by the Torah to have fasted on both the ninth and the tenth" (Yoma 81b). This Treat was last posted on September 23, 2012. Tomorrow night is Yom Kippur. Tonight, sit down and review the actions about which you want to ask atonement.